One of my favorite client stories – aside from losing him far too soon – is of a single Dad, who chose to give his only child an opportunity to secure his future, while recognizing the genuine risk he would not be ready for his inheritance at a young age. 18 is the age of majority, but rarely the age of maturity. If any of your children are under the age of eighteen, you must protect them with a Living Trust, or all that you leave them, with or without a Will, will go to probate until they reach 18. If they are under 21, no matter how mature your children are, do you want to leave them several hundred thousand dollars at that age? The client I mentioned above died when his son was 17 years old. He left approximately $600,000 in a Living Trust, used for his son’s care, support maintenance, and education, at the direction of his aunt, the trustee, with the balance given to him at age 30. His son was not happy. He expected full access to all the funds at 18. When he was 21, he wanted to buy a townhouse. His aunt was against it, claiming he was not even paying his utilities on time. I suggested she purchase the townhouse in the trust, for $125,000 cash, and have him sign a lease to pay rent – back to his trust. If he missed a payment or was late on utilities, she could evict him and rent the townhouse. He never missed a payment. At 25, he wanted to purchase a body and fender shop for $60,000, his chosen career. After resisting, his aunt agreed. When he turned 30, his townhouse was worth $275,000, he had a successful business, and the value of his trust was $1.4 million. He called to thank me and said he would have been broke by 19 if he had access to the trust. I said the only person to thank was his Dad and to be proud of himself. That is how it can work. You can choose any age for final distribution of your Living Trust, or even stagger the payments over time, and all insurance and deferred compensation can be directed to the trust for this purpose. It can be a gift that secures your children’s financial future. Your best protection for your children, or any of your beneficiaries, is a carefully drafted Living Trust that covers all contingencies and uncertainties and provides maximum protection. At the creation of your trust, all of your assets will be transferred from your name and titled in your trust. You add future assets to the trust on your own, simply by opening financial accounts or purchasing real estate in the name of the trust. 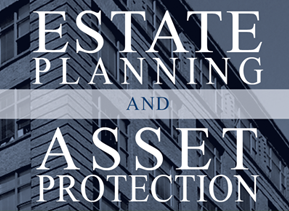 You retain unlimited access to and full control of your assets during your lifetime, while you have your legal capacity. A Revocable Living Trust allows you to appoint someone of your choice (as Successor Trustee) to manage your assets after your death or during your incapacitation. Your Trust can be amended or revoked at any time as long as you are mentally competent. Your assets and belongings will be distributed privately and efficiently to your beneficiaries, under the terms that you have established within your trust.